Venerable Geshe Kelsang Gyatso Rinpoche is a renowned contemporary meditation master and holder of the Ganden Oral Lineage of Mahamudra who has pioneered the introduction of modern Buddhism into contemporary society. 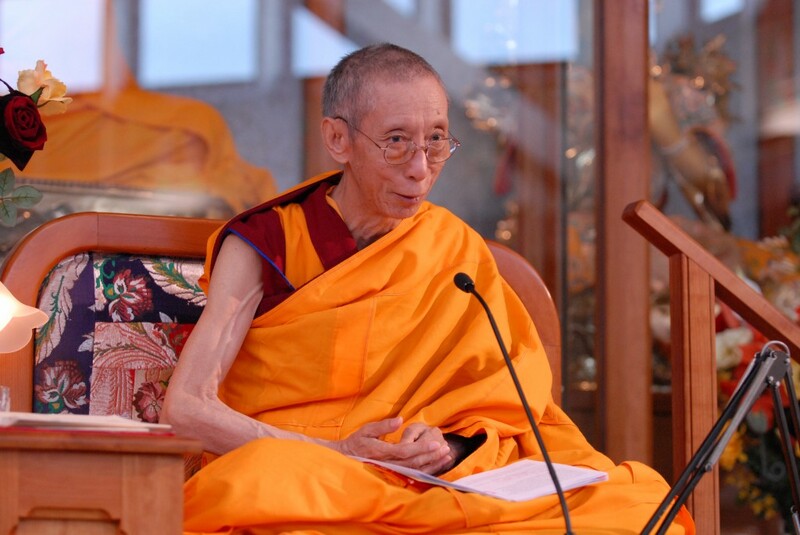 He is highly regarded as a fully accomplished scholar and practitioner of Kadampa Buddhism. Since being invited to the West in 1977 he has given thousands of teachings, composed 23 widely acclaimed books on Buddhism and meditation, established over 1,200 meditation centres around the world, trained hundreds of qualified meditation teachers and developed practical study and meditation programmes designed for the modern world. All the programmes, courses, teachers, Temples, Meditation Centres and books of The New Kadampa Tradition are gifts from this immeasurably kind and precious holy being. Copyright © 2019 2019 EADC All Rights Reserved.